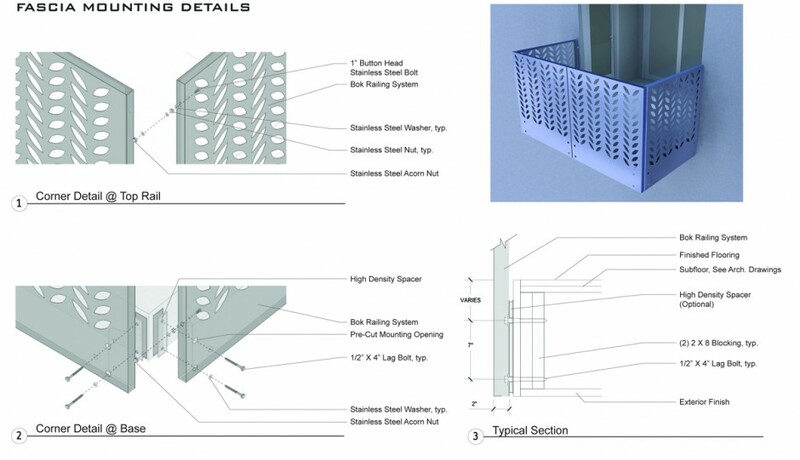 Installation of the BŌK Modern system is typically 50% or less labor time than conventional railing systems and should be factored into the overall installed price. We provide all panel to panel stainless steel hardware. In most instances, no additional brackets are required. Also, there is no field welding required. Your architect and engineer simply provide the anchoring details for your specific building type and application. 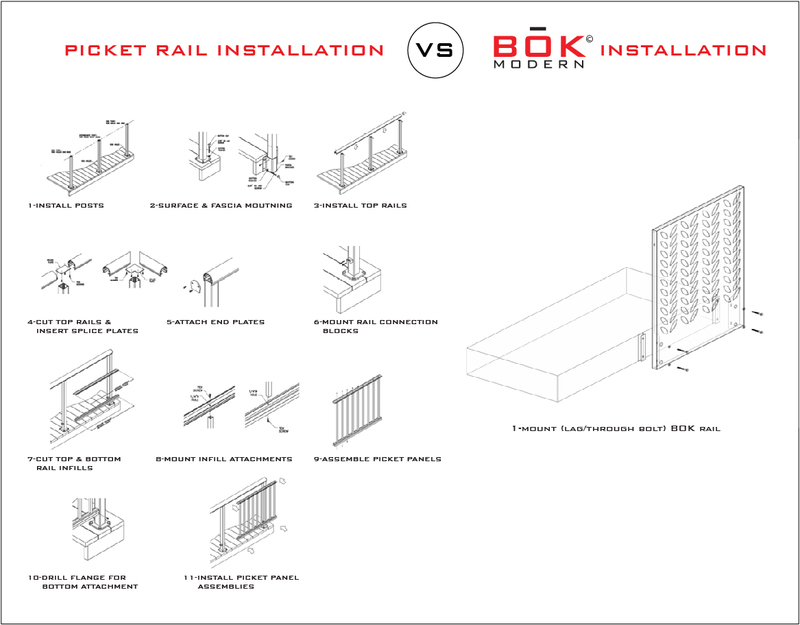 See how easy the BŌK system is to install compared to other brands. *BŌK Modern is material supplier only and do not provide installation service. We can source installation quote from certified installers upon request.